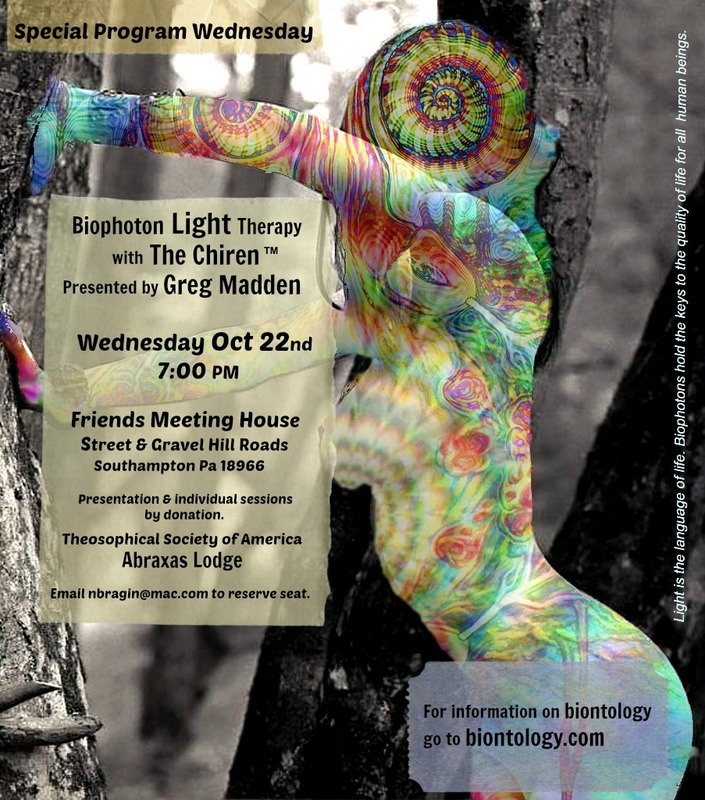 Special Program Wednesday in Southampton – Biophoton Light Therapy | Be Kind. We're all in this together. This entry was posted in Uncategorized and tagged Abraxas, biontology, biophotons, Bucks County Spiritual Event, metaphysical event Southampton Bucks County, The Chiren. Bookmark the permalink.